Cepsa has started marketing RMK500 fuel in the Port of Barcelona to meet customer demand for this product. The Company is extending the supply of this fuel in the Mediterranean Sea after its marketing launch in other ports around the country, such as Algeciras or Gibraltar, where Cepsa is also the only supplier of this marine fuel. 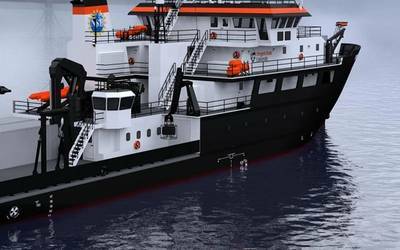 The Company is also incorporating a new barge in the Port of Barcelona with the aim of improving fuel supply. RMK500 marine fuel, produced by Cepsa at its refinery in Gibraltar-San Roque, is similar to FO380, with 3.5% sulfur. However, it has specific properties, such as its greater density and viscosity and lower cost, making it a highly sought-after product with little market supply. For this reason, Cepsa is now starting supply operations in the Port of Barcelona, with the aim of supplying ship owners with large ships, especially container ships, making long sea crossings. The new Cepsa bunker operations in the Port of Barcelona strengthens the company's leadership in supplying this type of fuel in the Mediterranean, as it is the first and only supplier of this product in the ports of Algeciras, where more than one million tons were delivered in 2016; and in that of Gibraltar, where Cepsa made it available to its customers in June 2017. Moreover, Cepsa, which offers all types of fuels for ships in Barcelona - LSFO380, HSFO380, MGO and intermediate IFOS - is currently operating in the Port of Barcelona with the SPABUNKER 41 supply vessel, with a capacity of 2,600 metric tons of fuel supply and 850 metric tons of gasoil; and now the SPABUNKER 21, which, with 3,800 metric tons of fuel capacity and 600 metric tons of gasoil, doubles its marine fuel supply capacity. In total, Cepsa has carried out over 1,100 operations in the Port of Barcelona during 2017, amounting to more than 208,000 metric tons in supplied products, mainly to cruise ships, ferries, container ships and tankers.